Some 96% all of Down Syndrome children are killed in their mother’s wombs in the United Kingdom. 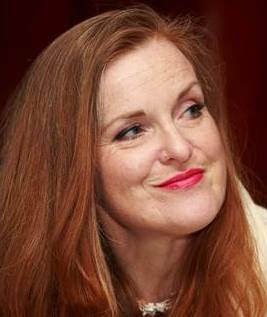 Kate Bopp is a Wexford-born mother of 5 children living in Rathcabban Co. Tipperary together with her husband, Evert. In the last 20 years, she has worked and lived in half a dozen European countries giving her a wealth of first-hand experience of different cultures, languages, and types of government. the horrors which allowing the 8th Amendment to be removed from the Constitution would herald for Irish boys and girls in the womb. She also focuses on how infant Down Syndrome babies are being put down in the tidal wave of abortions in States close to home and further afield. “Despite the clearly demonstrated lack of appetite for liberal abortion demonstrated with the near complete evisceration of the pro-abortion Labour Party by the Irish electorate in our General Election of February 2016, there is a small but determined group of idealistic female and self-proclaimed male feminists industriously manufacturing consensus around the issue of abortion in Ireland. “We have seen melodramatic videos and gloomy dark sweaters endorsing the ending of infant lives in the womb. Yet despite the abortion lobby’s claim that this is a hot-button issue in Ireland, it is hugely dependent upon outside funding from an US immigrant billionaire… If the people of this island were eager to liberalise abortion legislation no doubt they would demonstrate such eagerness by throwing some cash at it. They aren’t throwing money at abortion. In fact in a recent Irish Independent article referencing the ProLife Campaign’s presence in Tullamore at the National Ploughing Championships, a spokesperson for the abortion lobby said they couldn’t afford €1000 for a stand. A sorry state of affairs for activists who claim to represent the sentiment of the nation. “Since the historic 1973 case of Roe v Wade in the US some 56 million infants have had their lives ended in their mother’s wombs. The 1967 UK legislation has put an abrupt end to close to 9 million lives and continues to kill close to 200,000 infants annually. “Some 96% all of Down Syndrome children are killed in their mother’s wombs in the United Kingdom. The percentage in the US is almost as high. Denmark authorities recently revealed that upwards of 98% of Down Syndrome children are killed in the womb. “It is estimated that by 2030 there will be zero Down Syndrome births in Denmark. This is not the eradication of a condition, as it is often gleefully presented by the abortion lobby, but merciless extermination in utero of all of those who present with that condition. The abortion of Down Syndrome children doesn’t reduce the overall number diagnosed as Down Syndrome is neither contagious nor genetically inherited. The mother of five goes on to expound that the abortion discussion in Ireland must center on the reality of abortion culture.